Walmart lawsuits arising from personal injury or workers’ compensation claims are a nightmare. It is notoriously difficult to pursue legal action against any large, corporate entity, and Walmart is no exception. Walmart has practically unlimited resources to vigorously defend legal claims against them, so if you have experienced a personal injury at a Walmart store, you need an attorney with intimate knowledge of handling these types of lawsuits – like those at TorkLaw. Walmart is an archetypical American success story. Sam Walton opened the humble family-owned store in Arkansas in 1962. Since then, Walmart has expanded to become the world’s top retailer, with over 4,600 stores in the United States and 2.1 million employees worldwide. They sell over $400 billion worth of merchandise and collect almost $5 billion in worldwide revenue annually. With that kind of cash flow, Walmart can afford to retain a cadre of elite corporate attorneys, who do everything they can to discredit any claims filed against the firm. While most of the hundreds of millions of shoppers each year manage to complete their Walmart visit without incident, some customers, unfortunately, do suffer injuries of varying severity. If you are suing Walmart in an attempt to recover damages, you may feel like David competing against Goliath. You need strong legal representation, and some knowledge about how to sue Walmart. TorkLaw’s attorneys have that knowledge, and are sharing it with you here. This guide will cover the basics of premises liability law, and describe how to take on behemoth companies like Walmart to receive the compensation you deserve. Click here for a printable copy of this guide. Why Are Walmart Lawsuits So Difficult? Personal injury lawsuits against Walmart are especially tough to prosecute, for one simple reason: Walmart provides its own liability insurance. Most companies have liability insurance to protect them in the event of a premises liability lawsuit – that is, when someone sues them for an injury that occurred on their property. Smaller and medium-sized companies typically pay through a third party insurer. All insurance companies do their best to avoid paying claims. But in most cases, the defendant will not directly pay the cost of the judgment or settlement – the insurance company will. Walmart is so big that, rather than buying third party insurance, it has created its own company to handle all liability claims. This means Walmart pays directly for any verdict or settlement reached against it in a personal injury case. This gives Walmart a direct financial incentive to do everything possible to avoid paying any damages. They will try to dissuade you, to discredit or deny your claim, and will do their best to make your case as burdensome to you as they can. What Kinds of Injuries Do Customers Suffer at Walmart Stores? One of the most common injuries is a slip and fall, which occurs when a customer slips or trips and is hurt in a fall. Customers can slip on all sorts of things, including spilled water, milk, juice, or oil. Customers may also trip over objects that have been left on the ground, or on uneven pavement in the parking lot. Other types of premises liability lawsuits can emerge from broken equipment or poor maintenance: for example, a customer may cut herself on the broken edge of a sign or shopping cart; another may cut himself on a shard of broken glass when reaching onto a shelf for a jar of jam. Falling objects are another common source of premises liability lawsuits, especially those that were in precarious positions on high shelves. Walmart injuries do not just happen on store property. Walmart has also been successfully sued for injuries caused by its delivery drivers off company premises. Lawsuits have even come about from intentional acts, such as assault — if it can be demonstrated that Walmart provided insufficient security to guard against the malicious act. Over the years, all sorts of crazy things have happened in Walmart stores, from births and weddings, to defective products, and much more serious crimes such as sexual assault, methamphetamine production, and even murder. Walmart Lawsuits: Under What Circumstances Can I Sue Walmart? Premises liability law typically has several levels of protection, for different types of guests. These levels and laws vary from state to state, but in general, Walmart customers are considered “invitees,” which provides the highest level of legal protection. Walmart, like all other property owners, must take reasonable steps to ensure the safety of those who are invited onto their property. Of course, Walmart can’t ensure complete safety, because no situation is ever 100% safe, but it must ensure its stores are reasonably safe. The definition of “reasonably” rest heavily on legal precedent, but in general, it means what a reasonable person would consider safe. Premises liability law is also not all-inclusive. If you act in a careless way, or use the premises in a manner other than its intended purpose (being under the influence of alcohol or narcotics and running through the aisles, or climbing the shelves), you will not be able to sue for personal injury and might, in fact, find yourself facing a lawsuit or criminal charges. Even if the accident was not your fault, this does not necessarily mean that the store was automatically liable. For instance, if you are injured from slipping in a puddle of spilled liquid, the store will only be liable if the spill was there long enough that the staff reasonably should have known about it and cleaned it up. In other words, if you slip in a spill that was caused by a customer only a few seconds before, Walmart will not be liable. It reasonably should have known about the dangerous situation. This is why most stores conduct regular safety inspections to ensure that they are aware of all relevant dangers within the premises (such as puddles of spilled liquid or precariously balanced objects). We should note, however, that this only applies to invitees. If you are invited into a Walmart store for non-commercial reasons, then you are considered a “licensee.” Licensees can still sue for premises liability, but the standards may be somewhat different, and may vary from state to state. If you break into a Walmart store after hours, you are considered a trespasser. Trespassers typically receive no legal protection (except in extraordinary cases, such as those involving children). Duty: Walmart had a duty to remove a certain danger. Breach of duty: They breached that duty by failing to do so. Injury: You suffered appreciable harm. Cause: Your injury was caused by Walmart’s breach of duty. What Should I Do If I Am in an Accident at Walmart? Step 1: Seek immediate medical attention. After suffering any injury, your well-being is your first priority. You may decide to put off seeing a doctor or waiting until you feel the need. This is a mistake. Some injuries are not apparent immediately after an accident, and other injuries that seem to be minor at first become more serious later. Consider this: medical expenses are the backbone of any personal injury lawsuit. Receiving a full medical assessment of your injuries will help prove your case. The longer you wait to see a doctor, the harder it will be to prove your lawsuit, and the defense will not hesitate to use this against you in court. If there is any possibility you will pursue a personal injury lawsuit, it’s best to see a doctor ASAP and get your injuries on record. Step 2: Start gathering evidence. One of the best things you can do immediately after an accident is to take photographs of the scene and the circumstances that led to your injury (or make sure someone else does, if you are unable). If you slipped in a puddle of liquid on the floor, take pictures of the puddle. If something on a high shelf fell on you, take a picture of the object and the shelf itself to show how precariously it was balanced. Take more photos than you think you need, including wider panoramic shots of the area, and close-ups of the dangerous condition from multiple angles. Other shoppers may have seen the accident. Take a moment to record their names and contact information — they may be very helpful to your case later. Even your clothes may be used as evidence, so preserve these in case they are necessary later. Most Walmart stores have surveillance going on throughout the store. Your lawyer can demand a copy of the tape, and this can be invaluable in showing what really happened when you were injured. For instance, if a dangerous situation was present for a long time, and Walmart failed to do anything about it, the recording can help prove this. Be sure to demand the tapes early on, though, because some security cameras automatically record over existing footage after a certain length of time. Your receipts and records of medical treatment are also important evidence. Keep a record of all medical expenses related to the injury you suffered, as well as the doctors’ descriptions of your injuries. If you lose work because of the accident, keep a record of this as the basis for any lost wages you may recover. Finally, keep a personal injury journal to record all the ways the injuries interfere with your day-to-day life, or cause you to miss any enjoyable activities. This will help you recover non-economic damages, such as pain and suffering, later. Keep in mind that Walmart knows how to handle these situations better than you do. One tactic they may use is to persuade you to make a statement when you are still recovering. 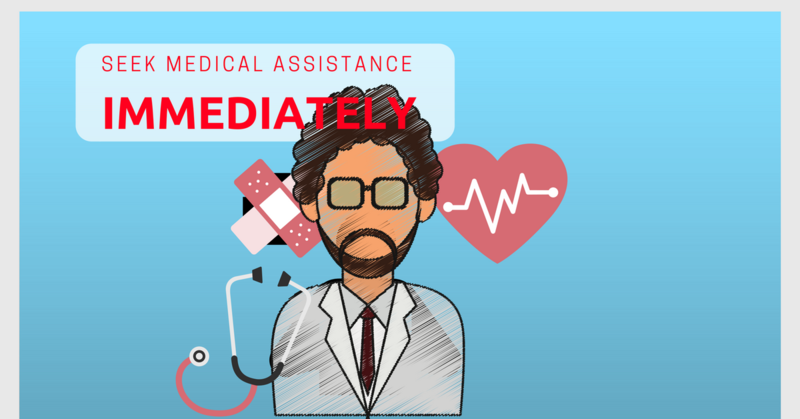 You may be in pain, unclear of the extent of your injuries, confused or otherwise not in a position to provide an informed or coherent declaration. This may be damning to your case. Avoid talking to Walmart or any of its representatives, or giving any statements to anyone after the accident. They may also try to convince you to sign an incident report before you leave the store. Don’t sign anything. You have no legal obligation to do so, and it may be used against you. Do try to obtain a copy of the incident report, because it may serve as useful evidence later, but don’t sign it! Walmart is known to contract out the handling of most of its legal claims to another company, a casualty claims administrator known as Claims Management, Inc. If someone from this company, or any company for that matter, contacts you asking for a statement or information, tell them you are not able to help them, and that they should direct any questions to your attorney. If the company knows that it is liable, their insurance adjusters may call you with an offer for you to settle (drop) the case. This offer might seem reasonable at first, but after taking it, you might eventually discover that it doesn’t cover your damages. Most of the time, you can settle for much more than you were initially offered if you are negotiating from a position of strength. It is important to have an attorney who has specific experience dealing with Walmart. A knowledgeable lawyer is your best advocate in dealing with the company or any third parties that represent them. In California, the statute of limitations for premises liability cases is two years; this means you must file the lawsuit within two years after suffering an injury in a Walmart store. Statutes of limitations in other states may vary, so check to be sure. If you have suffered injuries, the countdown to the deadline begins the day of the accident itself. However, if a loved one dies from an injury they received in a Walmart store, then the countdown for a wrongful death lawsuit starts the day of the death, if it is different from the day of the injury. The statute of limitations for property damage may be different from that for personal injury. Statutes of limitations exist because evidence deteriorates over time. This includes both physical evidence, such as injuries and property damage, as well as people’s memory of the accident. Your attorney will want to collect evidence while it is still fresh. Walmart Workers’ Comp: What If I Was Injured as an Employee? When workers suffer injuries on the job, they typically go through the workers’ compensation claims process, rather than the personal injury legal system. There are a few circumstances when an on-the-job injury can lead to a lawsuit, such as if your employer acted with malice or extreme negligence. Otherwise, you should file a workers’ compensation claim rather than a lawsuit if you are injured as a Walmart employee. One important difference between premises liability law and workers’ compensation law is that workers’ comp is awarded regardless of fault. This means that, unlike with customers who slip and fall in Walmart stores, you do not have to prove that Walmart was negligent to receive damages. However, Walmart self-insures for workers’ compensation, just as it does for its general liability insurance, and this gives it a direct incentive to pay as little as possible to its injured workers. Although Walmart promises to treat injured employees fairly and give them full compensation for their injuries, in practice, they may seek to limit or deny workers’ comp claims. If you find yourself in such a dispute, you may still need to hire an attorney, preferably one who has experience with the personal injury system and with Walmart claims specifically. What If I Bought a Defective Product from Walmart? With the hundreds of billions of dollars’ worth of merchandise sold at Walmart stores every year, the law of averages means that some products will be defective. If you have bought a defective product from Walmart, it’s worth trying to resolve the issue without resorting to legal remedies, by returning the product and asking for a refund. If Walmart refuses to cooperate with you – or if you do not find out that the product was defective until it injures you – then a Walmart lawsuit might be your only option. Product liability lawsuits are different from premises liability or workers’ compensation cases, in that it is relatively common to sue multiple defendants at once. If Walmart sold you a defective product, it is likely they are not solely responsible for that defective product, but instead share responsibility with multiple parties along the chain of manufacture and distribution. In any case, if you have suffered injuries or other damages due to a defective product, you should contact an experienced products liability attorney. If your product was a mass-produced consumer good, like most goods sold at Walmart, many other people may have also been injured. You may become part of a class action lawsuit or mass tort litigation, both of which allow many plaintiffs to come together to prevail against big companies like Walmart. For millions, Walmart provides an abundance of necessary goods at prices working-class people can afford. In most ways, Walmart operates ethically. Nevertheless, when Walmart mishandles injury claims, it can be an uphill struggle for justice. The attorneys at TorkLaw advocate for clients who have suffered devastating personal injuries. If you have been injured in a Walmart, call TorkLaw today to schedule a FREE consultation about your case. Click here for a printable copy of this guide.